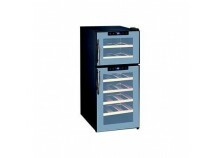 The online shop GetFurnished.com offers you it’s rental service of Wine Cellar, for a duration that goes from 1 to 36 motnhs. Renting from us us is a real bargain, that will allow you to access our incredible selection of Wine cellars. Our products comes exclusively from the best brands : Artevino, Avintage or even la Sommelière. 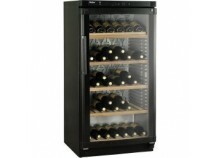 Renting Wine Cellars with GetFurnished.com, is the insurance to make some great money savings. You just have to contact us, our team of specialists are at your entire disposal, to deliver your new rental at the date of your choice. Once the contract comes to an end, or that you don’t need your Wine Cellar anymore, you can give it back to us. Why should you rent a Wine Cellar ? GetFurnished.com offers you advantageous rental opportunities. You can rent a high-end Wine Cellar, that will amaze all of your friends, and will allow you to enjoy some great wine. Rental is very useful when you’re staying at a place for a limited amount of time, and that you need to keep your wine bottles in an excellent condition. You’ll benefit from all the advantages of the product without having any of the inconveniences of buying it. The Price : With GetFurnished.com, you’ll be able to rent and enjoy the best Wine Cellar of the market, at the smallest price. The Quality : Our Wine Cellard are made by the best brands (Liebherr, Artevinoi, La Sommelière). You’ll be able to store carefully your wine bottles, and to keep them at a perfect temperature and in ideal conditions. The Simplicity : Don’t wait anymore ! Use our rental service and you’ll be receiving your wine bottles in a very short time, at the location of your choice.